Thanks to the Octoberfest game from the developers of Booming Games, you can feel yourself a participant of the Bavarian festival. Octoberfest is a slot machine with five reels, 3 rows and 20 winning lines, as well as free spins, which accurately convey the atmosphere of the festival. On the drums you will find many thematic symbols: a bearded man, a beautiful girl with a mug of beer, a hat and a glass filled with beer. Wild, represented by a girl with a glass of beer, will replace all the simple symbols in the game. In addition, for each win containing Wild, a multiplier operates. 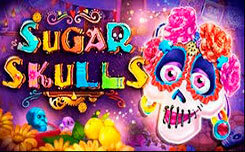 If you catch 3 or more Scatter in any places on the reels, you will get 10 free spins. This function can be restarted if, during its operation, 3 Scatter is caught again. In Octoberfest there is a special character, if you can catch 3 such symbols, the next 10 turns will start the system of payments in both directions.